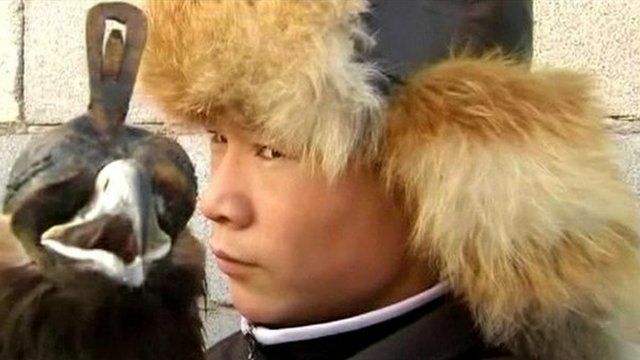 Enthusiasts in Kazakhstan are attempting to revive their county's ancient tradition of hunting with eagles - birds which dive at the speed of an express train. The birds are used to hunt foxes and rabbits and are said to be amongst the fiercest in the world. The practice was banned during Soviet rule and is seen as a powerful national symbol. The BBC's Tim Allman reports.